get link Years ago when computing power was extraordinarily expensive, you had a server like a mainframe do all the number crunching serve out results to “dumb” terminals. What if the graphics and physics calculations of today’s games were subcontracted to servers that did the heavy lifting. As computer power reaches pennies per Ghz and unlimited internet bandwidth increases steadily, the next evolution in gaming is in game streaming and subscription. source url Imagine subscribing to the latest graphically intensive game that just came out over the internet. With the streaming model, a video is streamed to your desktop while the game is running on a remote server at high resolution and with high game details on. That means your PC doesn’t have to run the latest hardware to play the game the way it was meant to be played. 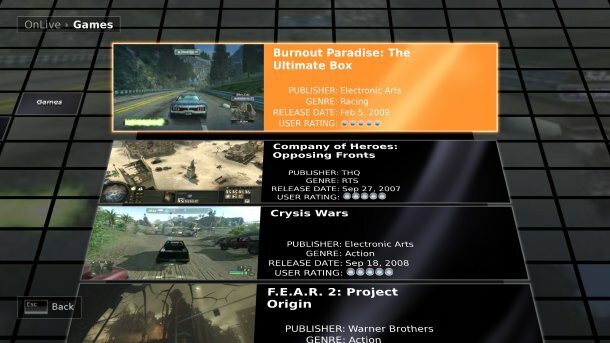 A recent article has revealed the OnLive will attempt to do just that.